Results of a polygraph test taken by Judge Brett Kavanaugh accuser, Christine Blasey Ford, indicate her responses to the two questions asked of her about her sexual assault allegations against him to be "not indicative of deception," according to the report on the polygraph. The polygraph test was administered on August 7, one week after she wrote a letter to Sen. Dianne Feinstein detailing her story of the assault. For the test, Ford gave her account, in which she alleges that when they were both in high school, Kavanaugh pinned her to a bed during a party and groped her, trying to remove her clothing. When she tried to scream, Ford said Kavanaugh held his hand over her mouth. Is any part of your statement false? Did you make up any part of your statement? Ford answered "no" to both questions. "Blasey's responses to the above relevant questions are not indicative of deception," the report read. Two more analyses of Ford's responses also suggested she had been truthful. Jerry Hanafin, who conducted the polygraph test, told CBS News' Ed O'Keefe that it was unlikely that in her response, Ford believed something that was not true, and passed the test because she believed it was true. 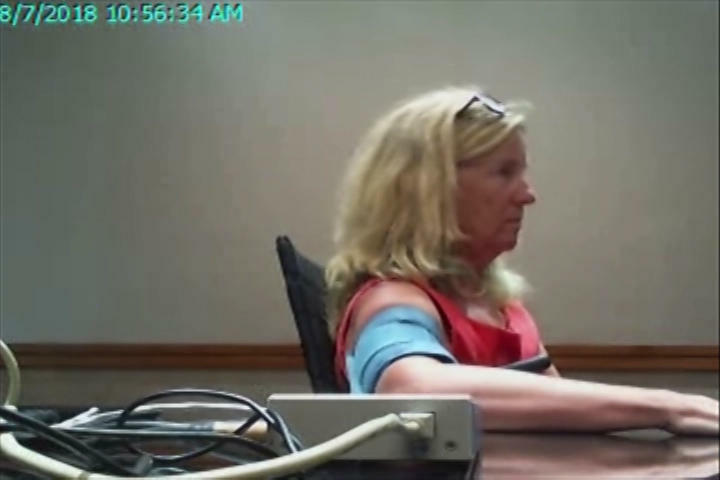 Hanafin said that when he first met Ford, she was nervous, like most people who take polygraphs are. He added that it was an "unremarkable" test, which is standard. He also acknowledged that regardless of the results, there is "a certain segment that'll just say this is just junk science." The results were sent to counsel for the Senate Judiciary Committee by Ford's attorneys in advance of Thursday's hearing, when both Kavanaugh and Ford will testify about the allegations. Beth Wilkinson, who is Kavanaugh's attorney, is interested in seeing the therapy sessions notes, which she says are important to corroborate claims made by Ford. "Apparently in those notes, there's a differing story about how many people were present at the party, there's no mention of Judge Kavanaugh, and so all that information would be very important to determine whether there's any corroboration of this allegation," Wilkinson on "CBS This Morning" Wednesday. Ford's attorneys said in their letter that they would not produce their client's medical records because they contain "private, highly sensitive information that is not necessary for the committee to assess the credibility of her testimony." Since Ford's allegation surfaced, two other women, Deborah Ramirez and Julie Swetnick, have made accusations against Kavanaugh.